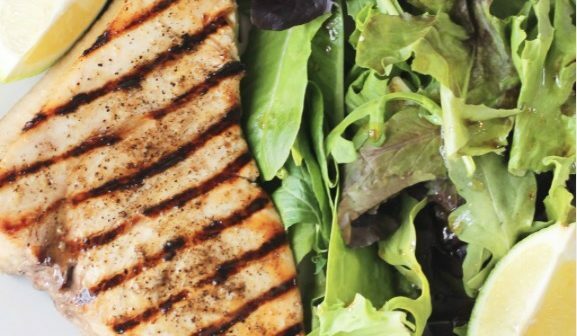 Since swordfish is a fuller body fish with lots of density, I enjoy serving it with a light mixed green salad and fresh lemon. Combine first 6 ingredients in a large dish. 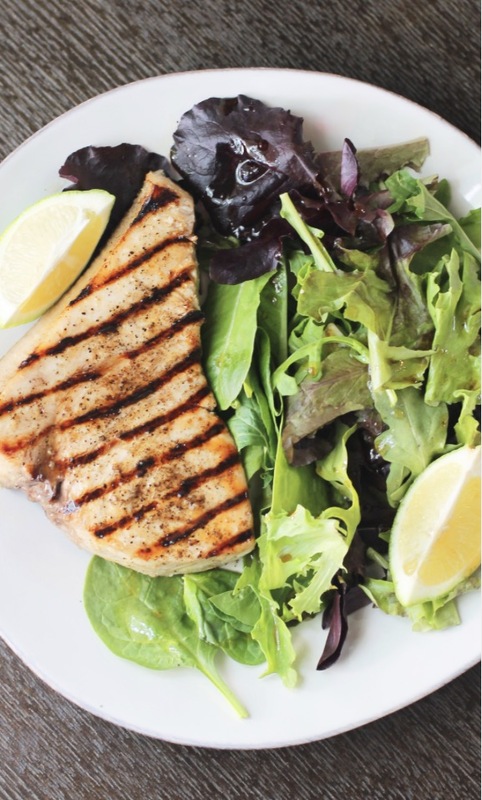 Place each swordfish steak in lime mixture and coat. Place in refrigerator and let marinate for 1 to 3 hours.reserve the marinade after taking fish out. Spray grill pan or outdoor grill with cooking spray and heat to medium high. Grill 3-4 minutes per side. While fish is cooking, place lime juice mixture in saucepan over medium heat. Reduce by half (about 8 minutes) and serve sauce with the fish. Frustrated that things aren’t changing faster? Keep it in perspective! It took you 10, 20, 30 years to get to this place—and while it won’t take you that long to get back on track, there is no such thing as a quick fix. Patience, grasshopper… and dedication.